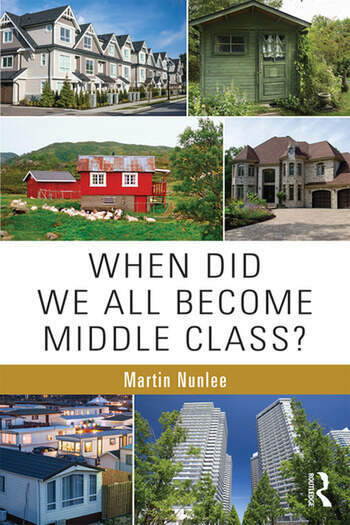 In When Did We All Become Middle Class?, Martin Nunlee discusses how a lack of class identity gives people a false sense of their relationship to power, which has made the US population accept the myth that they live in a meritocracy. This book examines social class within the framework of psychological tendencies, everyday interactions, institutions and pervasive cultural ideas　to show how Americans have shifted from general concerns of social and economic equality to fragmented interests groups. Written in a conversational style, this book is a useful tool for undergraduate courses covering social class, such as inequality, stratification, poverty, and social problems. Martin Nunlee, PhD., is an associate professor of marketing at Delaware State University, a small mid-Atlantic HBCU (Historically Black College and University). Although his area of expertise is in marketing channels, distribution, and strategy he has published papers in such diverse topics as advertising, promotions, and legal ethics, along with delivering papers on a variety of social issues.